Otaru Though the port town of Otaru is little known to international visitors, it’s a popular destination with Japanese tourists. A bit off the beaten track, this little town charms travellers with its many local attractions, including several popular museums and a picturesque canal. 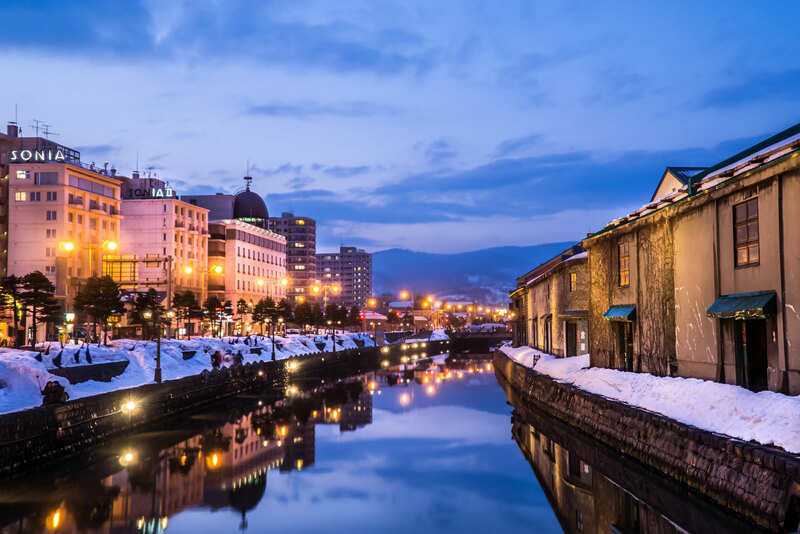 What to do: Otaru's canal is a must, where you can wander along at leisure and admire the 19th and 20th century warehouses that line the waterway. While there, visit the vibrant Otaru museum nearby, with displays featuring Hokkaidō's natural history, Ainu relics and various exhibitions from all over Japan. Where to stay: Located close to major local attractions and the main train station, Smile Hotel combines comfort, authentic experiences and amazing value, where two people can stay from just $46 a night. With flights to Japan set to get cheaper amid speculations of no more fuel surcharges, we look at the ultimate budget-friendly getaways in Japan. Ah Japan – it’s one of Australia’s favourite destinations. And for good reason, really. There’s cityscapes, snowscapes, beachscapes, cherry blossomscapes, and basically everything in between. Perfect for the traveller who loves a bit of variety. If you’re looking for a taste of traditional Japan, head to Kyoto. Buddhist temples, ancient wooden houses, zen rock gardens and geisha, all nestled within the confines of the neighbouring mountains. With a population of 1.4 million people, it’s definitely a bustling place, but still filled with hidden gems that will give you your travel kicks. The Arashiyama Bamboo Grove is an incredible, must-visit garden situated just outside the city centre. Here towering bamboo stretches endlessly in every direction and travellers really do feel at peace. Onsens are dotted all over Japan, thanks to hot volcanic springs that deliver a steady supply of piping hot water; no trip to the country would be complete without having a soak in one. The city centre Funaoka Onsen on Kuramaguchi-dōri is one of Kyoto’s most celebrated. Inside you’ll find hot, warm and cold baths, an outdoor rock pool and a cypress-panelled tub. And yes, you will have to abide by tradition and remove all of your clothes. A stone’s throw from Keihan Ishiyamadera Train Station (okay, a two minute walk), Tsukinoya Sansou offers hot-spring baths and Japanese-style accommodation. Although not flashy, it promises cleanliness and comfort, and you can stay for as little as $153 for two people. Though the port town of Otaru is little known to international visitors, it’s a popular destination with Japanese tourists. A bit off the beaten track, this little town charms travellers with its many local attractions, including several popular museums and a picturesque canal. 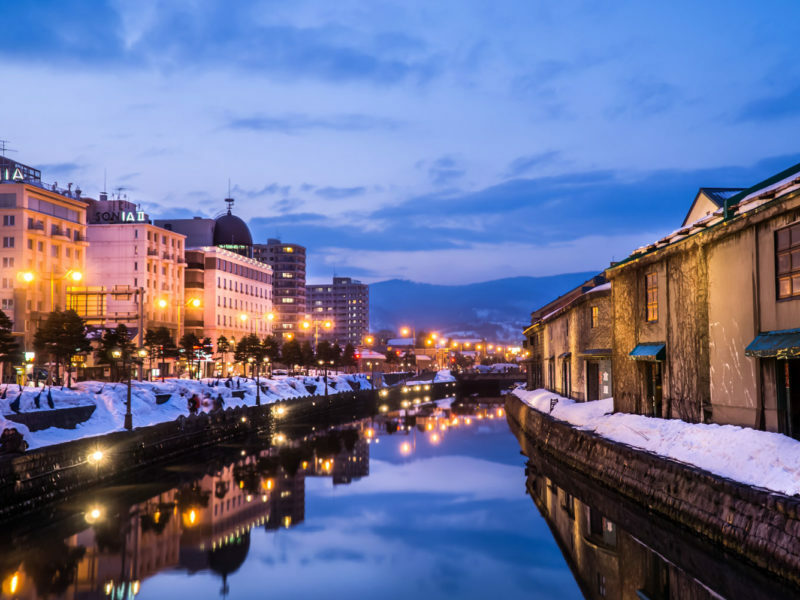 Otaru’s canal is a must, where you can wander along at leisure and admire the 19th and 20th century warehouses that line the waterway. While there, visit the vibrant Otaru museum nearby, with displays featuring Hokkaidō’s natural history, Ainu relics and various exhibitions from all over Japan. Located close to major local attractions and the main train station, Smile Hotel combines comfort, authentic experiences and amazing value, where two people can stay from just $46 a night. Located on Osaka Bay in Central Japan, this multicultural port city is renowned for its beautiful scenery, encompassing a scenic harbour and mountains, earning it a reputation as one of Japan’s most attractive cities. Take a ride on the antique cable cars connecting Kobe to Mt. Rokko, which is one of the best ways to enjoy the spectacular panoramic views the port has to offer. Then if you want to venture beyond the Rokko hills, experience the hot outdoor springs and public baths in Arima Onsen. The fun doesn’t stop at sundown either with many convivial bars to sample sake at, and a variety of restaurants where you can indulge in one of Japan’s delicacies, marbled beef. Set among Kobe’s many restaurants, bars and shops is Hotel Villa Fontaine Kobe-Sannomiya, where well-appointed rooms (which come with a complimentary buffet breakfast) cost as little as $150 for two people per night. For a more active trip, the island of Hokkaido is an idyllic getaway, famed for its snow-covered slopes at Niseko, one of Japan’s best ski resorts. Suitable for skiers of all levels, Niseko’s renowned ski trails promise endless powder and a stunning backdrop, plus there’s after-ski activities for all budgets. If you’re visiting outside of winter months (although there’s snow most of the year); there’s a variety of hikes to tackle, or rent a bike and explore the island’s unspoiled scenery on wheels. The Lodge Moiwa 834 ticks all the right boxes with contemporary centrally-located capsule-style accommodation, which won’t break the bank. A capsule for two costs from $120 per night, and you can purchase discounted ski passes from the hotel.